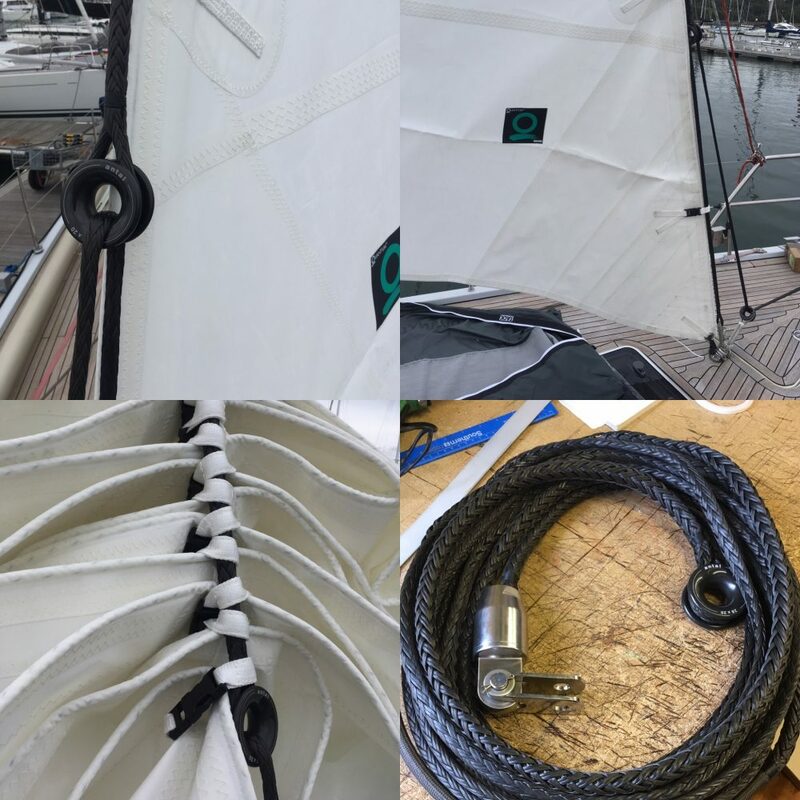 In conjunction with Quantum Sails Hamble, we were asked to produce an HMPE removable inner forestay system for a Hanse 540. The brief was a lightweight and strong solution but economic compared to a wire forestay. Quantum Sails produced the Dacron staysail for use on the Inner forestay. We specified webbing “hanks” to minimise point loads, reducing chafe on the rope forestay. This project was the perfect chance to test out Bluewave’s new rope terminals. Produced from high quality 316 stainless steel, these products provided a neat solution to terminate the rope forestay onto the mast. The lower section of the forestay was terminated with an Antal R28. A 2:1 purchase was then reeved through and connected to a winch. This gave the customer a huge saving over a traditional wire tensioner system. Consider / Minimise Chafe – Choose webbing hanks instead of metal. Consider chafe points on the mast when stowed. Consider a suitable tensioning method – For fixed stays it is possible to terminate with a bottle screw. For removable stays a purchase system is required, preferably lead to a clutch and winch. Consider UV Damage – As with any HMPE rope application, UV damage can be an issue. It is important to minimise exposure to UV, remove off the boat whenever possible. Length Calculations – Splices will stretch as they bed in. We always calculate this into the length of the stay. Consider the stretch in the splices if you are working to a critical length.